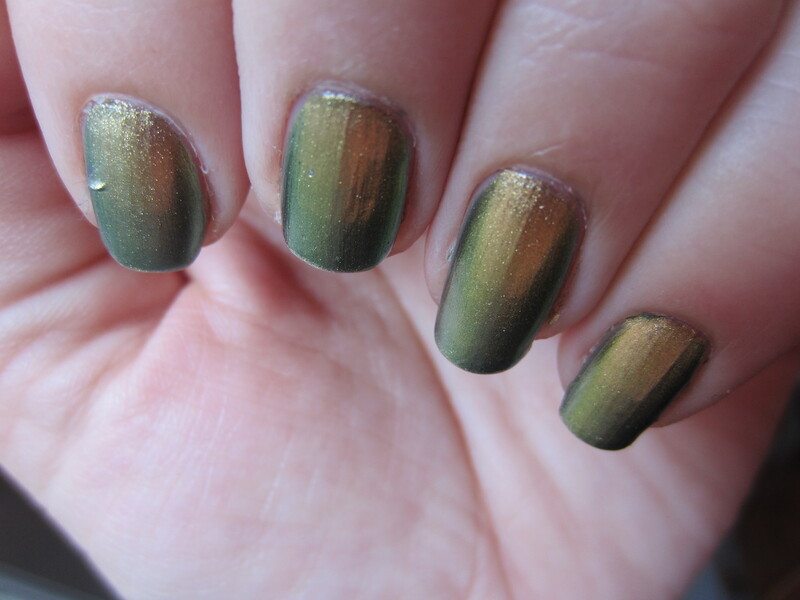 I have been seeing swatches of OPI “Just Spotted the Lizard” all over every blog and site I visit . I walk into Ulta and the salon and there are stock piles of the Spider Man collection. I didn’t pick up polishes from that collection, but if I was going to I definitely would be picking “Just Spotted the Lizard” (or maybe “My Boyfriend Scales Walls”). Seeing all these pictures was screaming at me to put on the polish that started it all. 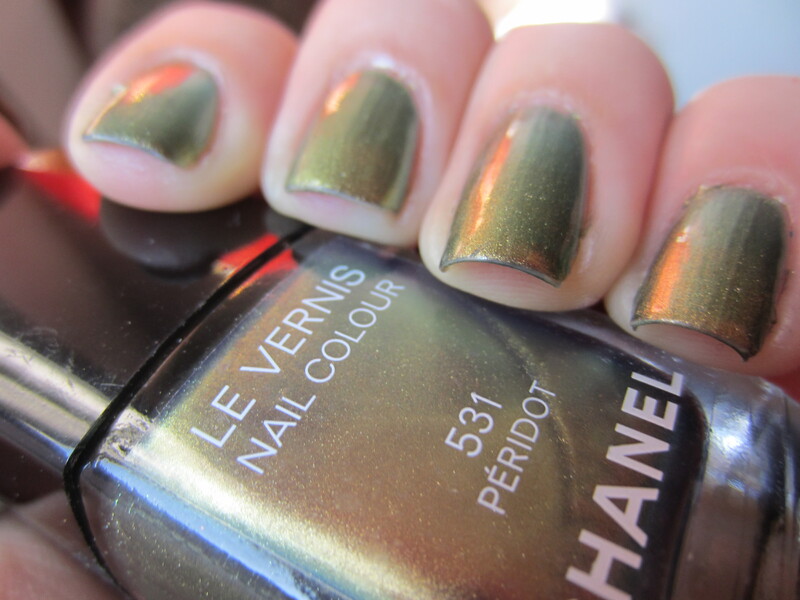 I picked up Chanel “Peridot” last summer and it was probably the biggest purchase in polish I have ever made. I thought about it for literally 2 weeks because spending $25 on a polish was seriously hurting my wallet and my head. I know that a Chanel polish is more expensive in other parts of the world so I shouldn’t be complaining about $25 but that is an catastrophic price for a bottle of paint. I ended up biting the bullet and buying the polish even though I knew if I waited a few months there would be a dupe of it. But in my defense, or the defense I tell myself to justify spending $25 on a single bottle, is that my birthstone is a peridot and green is my favorite color. When I purchased this last summer, I wasn’t the biggest fan on my fingers but this polish didn’t leave my toes for about 2 months. And now that I’ve pulled it out and tried it on my fingers again, I can’t even image why I wasn’t that impressed. This is 2 coats of utter perfection of the formula. It isn’t streaky and it is a thin formula but pigmented. It isn’t too watery and the brush fans out nicely over my nails. The dry time isn’t bad so really I have no complaints about this polish. But like a lot of other people who complain about this and dupe polishes, the duochrome is slight. Sorry for the weird angle but this was the best picture to show the duochrome. As you can see, it changes from a light green to a gold. In the bottle there is also flashes of blue, but that doesn’t translate to the nail. 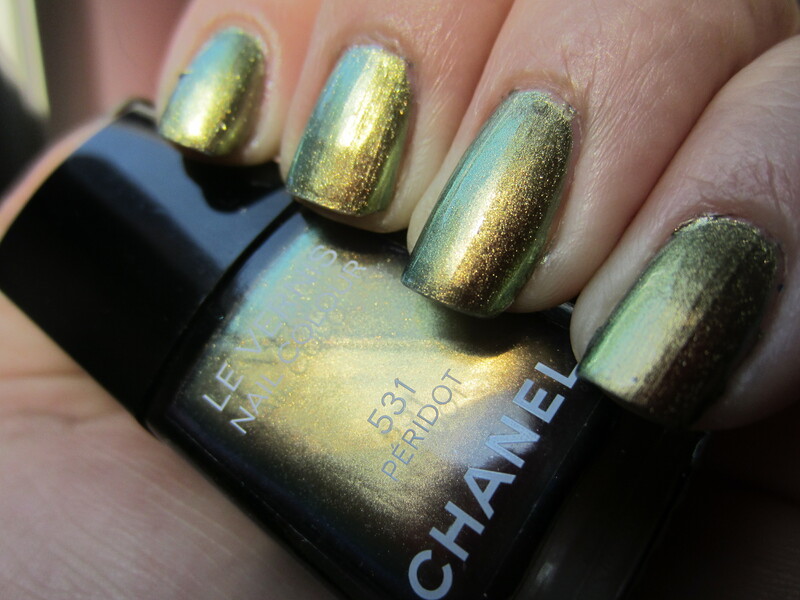 The gold is really bright and reflective, so the color you see the most is a green toned gold. But hey, I still love it. This really does remind me of a peridot gem, its the perfect color and really shines in the sun. But thank god there are cheaper dupes of this polish out now because no one should have that much money for a polish! ← The Sunshine Blog Award! A dupe for what? She used the original Chanel.